After a person has been diagnosed with an autism spectrum disorder, a next step may be to find services that can support the person as they live, work, and interact in the community. Services may vary depending on the age of the person with an autism spectrum disorder and their particular strengths and needs as well as on the ability or wishes of their families. 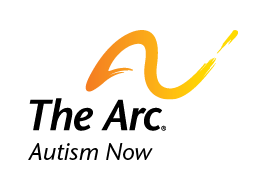 The Arc advocates for all people with intellectual and developmental disabilities and their families and is also a provider of the supports and services. The Autism National Committee (AUTCOM) is an autism advocacy organization dedicated to “Social Justice for All Citizens with Autism” through a shared vision and a commitment to positive approaches. Autistic Self-Advocacy Network seeks to advance the principles of the disability rights movement with regard to autism. The Autism Society provides information and referral services and offers programs and events through its affiliates nationwide. The Daniel Jordan Fiddle Foundation is national organization that works to develop, advocate for and fund programs throughout the United States that address all aspects of life for adults living with Autism Spectrum Disorder (ASD). First Signs educates parents and professionals about autism and related disabilities. It aims to improve screening and referral practices and to lower the age at which young children are diagnosed. The National Disability Rights Network provides legally based advocacy services to people with disabilities. Self Advocates Becoming Empowered works for the full inclusion of people with developmental disabilities. The Sibling Leadership Network provides siblings of individuals with disabilities the information, support, and tools to advocate with their brothers and sisters and to promote the issues important to them and their entire families. One way to find any support program is by contacting information and referral services. Autism NOW has an information and referral call center that can help people on the spectrum and their families find services and groups across the country. This call center line can be reached at 1.855.8AUTISM (1.855.828.8476) or locally at 202.600.3480.